It was 20 degrees and snowing late in November 1944 near the resort town of Bar Harbor, Maine, some 4,000 miles from Nazi Germany. Two men made their way along the beach, slipping through snow and tripping over exposed tree roots. Erich Gimpel and William Colepaugh would have looked like any other men but for the heavy suitcases they lugged and their light topcoats, which were no match for the northeastern winter. As they moved toward the cover of the thick coastal woods, two other men stood by, dressed in Nazi navy uniforms. These two were "possibly the first enemy dressed in a military uniform to set foot on continental U.S. soil since the Mexican War in the 1840s," writes former US intelligence officer Richard Gay, coauthor of the book They Came To Destroy America (2003). Erich Gimpel—the most accomplished German spy to make it into the United States, was a very unlikely agent. Born on March 25, 1910, Gimpel began his espionage career in the mid-1930s in Peru, where he was working as a radio engineer for mining companies. Like a character in a Graham Greene spy novel, he was told by the German government to track ship movements in the area and send his information to a contact in Chile. "In Lima I never missed a party," he later wrote, describing the whole thing as somewhat of a lark. "We were fighting our war in dinner jackets and with cocktail glasses in our hands." When America entered World War II, Gimpel was deported from Peru with other Germans and sent to Texas where he spent seven weeks in an internment camp. On his arrival back in Germany, Gimpel was welcomed by a stranger who gave him money and identity and ration cards, and told him to report to an address in Berlin. "I knew this was the headquarters of the German Secret Service," he wrote. "The amateur was about to become an expert." 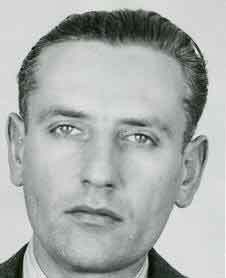 From Lisbon, Colepaugh traveled through France to Berlin, where German authorities watched him closely for three months. Finally, he was interviewed by SS Major Otto Skorzeny, Hitler's favorite commando. 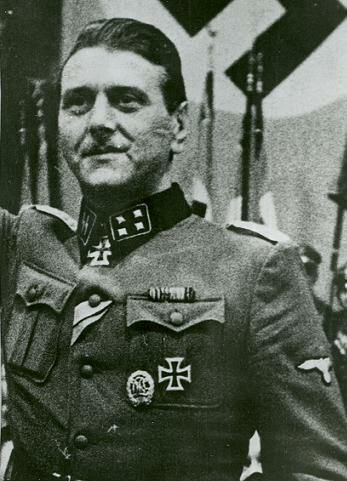 In June 1944, Skorzeny sent him to an SS training school where he himself taught, in the German-occupied Netherlands. There, Colepaugh met Erich Gimpel, who considered the "young, well-fed, and contented" American not a problem, but a potential solution. Gimpel had been asked to infiltrate America to uncover details about the United States' program to develop an atom bomb—the Manhattan Project. He had ~reed on one condition. To survive as a spy in the United States, Gimpel had concluded, he would need to take along "a proper American. He must know the latest dance steps and the latest popular songs. He must know everything about baseball and have all the Hollywood gossip at his fingertips." That said, Gimpel had to wonder where he would find "an American who was prepared to work against his own country and who at the same time was courageous, sensible, and trustworthy." Colepaugh appeared to be just what Gimpel needed. Late in September 1944, the two men boarded the 252-foot, IXC/40-class U-1230 in Kiel, Germany, bound for Maine. Ordinarily, the vessel carried a full crew of 56, but two of the regulars were left behind to make room for the spies. Their agents' mission and identities were kept secret even from the young crewmen and their commander, with Gimpel posing as a chief engineer and Colepaugh as a war correspondent. The crew soon figured out that something was amiss, though: how could a man who didn't speak German be a German reporter? The sub entered the open ocean on October 6. It was a dangerous time for a U-boat to cross the Atlantic; in fact, the U-1230's sister ship U-1229 was headed for Maine about six weeks earlier when she was sunk in the North Atlantic by Navy planes from the aircraft carrier USS Bogue. To help make their way in the United States, Gimpel and Colepaugh carried $60,000 in small bills (the equivalent of $656,000 today). Colepaugh had convinced his superiors that a person could hardly get by in America on less than $15,000 a year—at a time when the average family income was about $2,250. The money was supposed to keep the two spies in the United States through 1946. Along with the cash, the men had also been given 99 small diamonds to sell if the US currency had changed by the time they arrived or if they eventually needed additional funds. Checking on the holdings one day as the submarine neared Maine, Gimpel was shocked to find the American money bundled in wrappers printed "Deutsche Reichsbank." He quickly disposed of that evidence. U-1230 had been equipped for a six-month patrol, and 'carried 14 torpedoes. Nevertheless, she was under orders not to attract attention until her primary mission of delivering Gimpel and Colepaugh to the United States had been accomplished. After five weeks of a largely uneventful voyage, the submarine reached the coast of Newfoundland and continued south from there down the Maine coast. Along the way, the sub's transformer and depth-finding equipment was damaged by condensation caused by weeks of traveling underwater. The equipment had to be repaired on the surface, so the vessel was taken up under the cover of night. The repairs succeeded, and the surface activity went unnoticed. Even today, 60 years later, you'll find this remote area of the Maine coast deserted at midnight. In 1944, "there probably were less than a dozen families" near where the spies landed, says Lois Johnson of the Hancock Historical Society. The Hancock Town Report for 1944 lists 13 births, 12 deaths, and two marriages. Census figures show that the population grew from 755 to only 770 between 1920 to 1950. After the men reached US Route 1, a third car passed them, and it did stop. 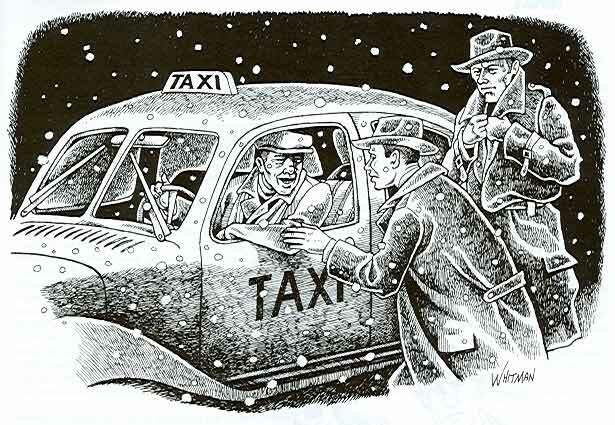 Miraculously, it was a taxicab from Ellsworth, the small town eight miles to the west. Colepaugh did all the talking, explaining that their car had slid into a ditch in the storm and they needed a ride to the train station in Bangor, 35 miles away. So followed a $6 cab ride and a 2 A.M. train to Portland. Stopping there for a bite to eat, Gimpel stammered when a short-order cook asked him what kind of bread he preferred with his ham and eggs. To him, bread was bread, and "the fact that in America people ate five different kinds" was surprising, he wrote. The spies boarded a train to Boston at 7 a.m. That afternoon, Gimpel went into a store in town to buy a tie, and the salesman recognized the cloth and cut of his trench coat as not being American. "As a matter of fact," Gimpel managed to reply, "I bought it in Spain." He decided never to wear that coat again. Gimpel and Colepaugh spent the night in a hotel, sleeping in their American clothes to try and make them look less new. They left the next day, completing their journey with a train ride to Grand Central Station in New York City. In less than 40 hours the intruders had gone from the middle of nowhere in Maine to downtown Manhattan. It was a remarkably efficient journey. The pair checked into a hotel on 33rd Street. They spent most of the next week looking for a place not constructed of steel, because steel hindered radio transmissions. They found an apartment on Beekman Place for $150 a month and paid two months' rent in advance. Things had gone well so far for the two Nazi spies on American soil, but over the next few weeks, their luck began to wear out. Two days after their arrival in New York, U-l230, still lingering about the coast, sank the 5,458-ton Canadian freighter Cornwallis, which was carrying sugar and molasses from Barbados to St. John, New Brunswick. Alarmed by the possibility that this U-boat could have dropped off enemy agents, the Boston FBI office sent men north to Maine. The agents soon located 29-year-old Mary Forni and her next-door neighbor, 17-year-old Harvard Hodgkins, the two Hancock residents who had driven past the spies walking in the snow. Forni, the wife of the Hancock tax collector, had been out late playing cards with friends; Hodgkins, son of the town's deputy sheriff and a Boy Scout and assistant scout leader, had been at a dance. They both described to the agents what they had seen. Much has been made of the Nazis getting away with walking through the Maine woods in a late November snowstorm dressed in light topcoats, advertising themselves as outsiders. But such hindsight misses the point, says Richard Gay. "The truth is," he told an interviewer, "their cover was perfect, and it worked without a hitch." As far as any witnesses knew, the spies "were visitors from the city whose car had broken down." In early February 1945, Gimpel and Colepaugh were tried by a military court at Fort Jay on Governors Island, New York. They were convicted and, on Valentine's Day, sentenced to death by hanging. Before their sentence was carried out, however, President Franklin D. Roosevelt died, and all federal executions were suspended for four weeks. By the time that month was up, the war had ended in Europe, and on June 23, new president Harry S. Truman announced that he was commuting the two sentences to life in prison—Gimpel's because the United States and Germany were no longer at war, and Colepaugh's because he had given himself up and provided the FBI with the information needed to arrest Gimpel. A statement from the War Department, reported in The New York Times, ended with the confident conclusion "The mission of the spies in this country was a complete failure." Gimpel was not the only Nazi from this spy mission to return to America. Horst Haslau, the radioman aboard the U-1230 and one of the vessel's youngest crewmen, got a job in the United States. In 1984, he was working for RCA in Indianapolis, Indiana, and visited the Hancock area. The local newspaper published photos of America's one-time enemy wearing a John Deere cap and sitting in the Ellsworth Holiday Inn, holding a bottle of beer. The brand was Beck's, the same German beer that was stocked on U-1230, Haslau said. Three weeks after the sub dropped off Gimpel and Colepaugh in Maine, he recalled, each crewmember received one bottle for Christmas. Americans ate up the story of Hodgkins, the Hancock Boy Scout. The New York Journal-American sponsored the high school senior's first ride in an airplane, bringing him and his family to New York for a week in January 1945, where he was given a key to the city. He saw the Statue of Liberty, Radio City Music Hall, and some Broadway shows, and met Governor Thomas Dewey, boxing champion Joe Louis, and Babe Ruth. After he graduated from Ellsworth High School, Hodgkins received a full scholarship to the Maine Maritime Academy for his anti-spy efforts. He died in May 1984. Given what we know about Operation Magpie, Gimpel and Colepaugh were probably no great threat to America's security. They had little skill and experience to aid them in circumventing the huge obstacles that remained in their path. In the end, the chief result of their mission was to turn a couple of ordinary Americans in Hancock, Maine, into heroes. 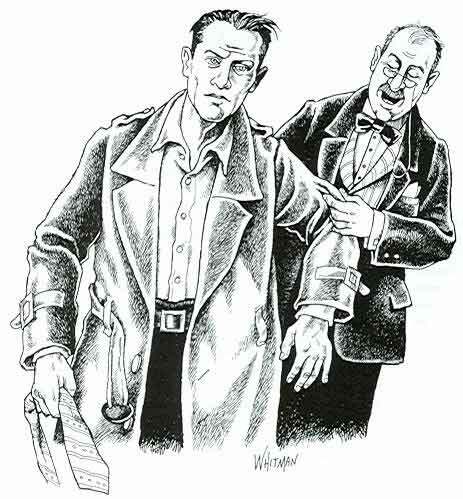 Gimpel and Colepaugh were left with the claim to the fairly weightless title Last Nazi Spies in America.